Held annually, Australian Red Nose Day (www.rednoseday.com.au) is the major fundraiser for SIDS and Kids, an international leader in research and education about Sudden Infant Death Syndrome. 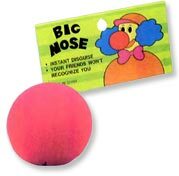 The 2007 campaign centered around dozens of “red nose” products, from foam “clown” noses and red-Velcro dots for computers to car “noses.” The sales of these items – among many others – via the website raised the organization’s profile and its financial coffers. Anyone who purchased a red nose car magnet during June was entered to win a $500 prepaid fuel card or a trip to Disneyland for a family of four. So, how can these awareness-marketing tactics apply to you? Tie into an organizational theme. Perhaps you have a mascot or a color that could be leveraged for a high-profile campaign. 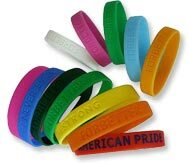 We can help you customize any number of popular promotional products to reflect this tie-in, from color-matching awareness-bracelets to replicas of mascots as ornaments, bobble-heads – you name it – which can be sold as fundraisers. An “awareness collection” of themed items will get your message out and provide a source of funding. Consider an online store. The Internet is your best friend in terms of national and international reach. We can help you plan an inventory and fulfillment program that will be a boost, rather than a drain, for your organization. Make a splash at the start. Kick off the program with an event. Drive media coverage with dimensional press packets including products from the awareness collection. Seek corporate sponsorships for additional mileage, and as SIDS and Kids did, create an interactive campaign that allows you to encourage participation while gathering information about potential donors. In a world of many worthy causes vying for attention and support, you’ve got to make sure that your organization’s goals stand out as successfully as the Red Nose Day campaign did last year. We’re here to help…just call us at 708-478-8222 or send us an e-mail, and we’ll get started!